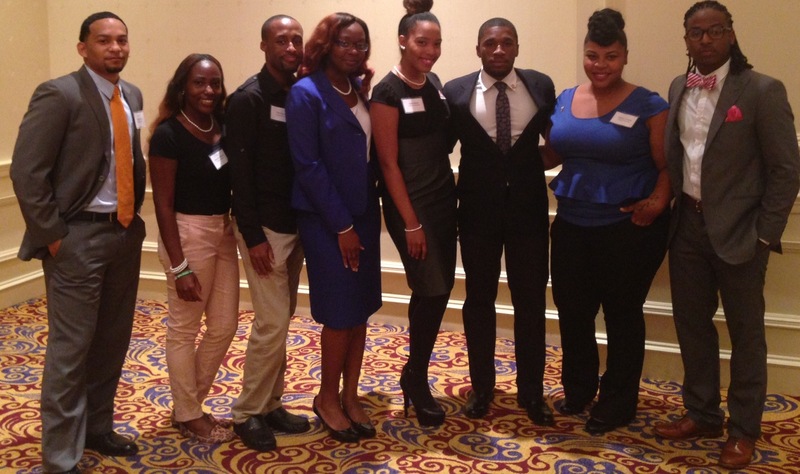 Lincoln students attend D.C. conference on Greek life the weekend of Sept. 14-15, 2013. Several students from The Lincoln University students attended the fourth annual Mis-Education of the Black Greek Conference in Washington, D.C., this weekend. The conference brings together the nation’s nine most prominent black fraternities and sororities. It focuses on many of the issues that the organizations face as individuals and as a whole on their respective campuses and communities. Dustin Fowler, a senior at The Lincoln University and a member of Alpha Phi Alpha Fraternity, was unsure about the conference at first. The entire conference was created by Rasheed Ali Cromwell who wanted to educate the public and those who are members of Greek organizations. “It will be interesting to see what the different speakers have to say on the many aspects of Greek life,” says Dejour Young, a senior and a member of Sigma Gamma Rho Sorority Inc. Some topics on the agenda were The Historical Impact of Black Sororities on Black Women. This session focused on the history of Alpha Kappa Alpha Sorority Inc. Delta Sigma Theta Sorority Inc. Zeta Phi Beta Sorority Inc. and Sigma Gamma Rho Sorority and their impact on their campuses where they were founded. The fraternities represented at the conference were Alpha Phi Alpha Fraternity Inc. Kappa Alpha Psi Fraternity Inc. Omega Psi Phi Fraternity Inc. Phi Beta Sigma Fraternity Inc. and Iota Phi Theta Fraternity Inc. Together, these organizations make up the National Pan-Hellenic Council, or NPHC. Another session that sparked interest among the many young scholars was the session titled Does Greek Unity Exist? The Lincoln University students took this opportunity to share their many experiences and relationships, not only within the National Pan-Hellenic Council but also with other Greek lettered organizations and Social Fellowships. The conference is meant to bring students and administration together to share ideas to better enhance the Greek life at their respective institutions.